1. Born in the Ukraine in the Russian empire in September 1881, Josef Haim Brenner had a yeshiva education and went on to teach Hebrew as a young man in Bialystok and Warsaw. In 1900, his first story was published, in the Hebrew newspaper HaMelitz. The following year he published a volume of stories. 2. Then he was drafted into the Imperial Russian Army (1902). Two years later, when war with Japan broke out, Brenner deserted and escaped to London. 3. In London, working as a typesetter, he was active in Poalei Zion. He edited and published a Hebrew periodical. He married and the couple had a son. 4. He made aliyah in 1909, working first as a farmer. He wanted to build the land, but the strain of manual labor proved too much. He began teaching at the Gymnasium Herzliya in Tel Aviv. 5. He kept writing. Modern Hebrew was in its infancy, and he experimented in both form and language. He sought to capture the sound of spoken Hebrew, and he used not only Hebrew vocabulary, but Aramaic, Yiddish, Arabic and English. 6. It was his aim to portray truth without any authorial intervention – an impossibility, of course, but a useful fiction. The subjects of his novels include moving from religious to secular life; military service; the life of Jewish workers in London; the life of the settlements in Palestine – in other words, he wrote from his own experiences. His characters wander, hoping to improve their destiny and failing. A deep sense of pessimism permeates his work. 7. His articles, plays and novels are firm in their advocacy of a secular Hebrew identity and in their concern for social justice. His characters are plagued by economic insecurity; they are left stranded, their goals unrealized, their lives bitter. They are savaged by poverty, disappointment and humiliation. Even life in Palestine is discouraging. 8. He wrote essays for Poalei Zion and was one of the founders of Histradut, the federation of Israel’s trade unions. And he translated Crime and Punishment and works by Tolstoy into Hebrew. 9. Today, his works are studied in academia and admired for their existentialist elements, but they are no longer well known to the general public. 10. Brenner died on May 2, 1921, killed in anti-Jewish riots in Jaffa. Brenner House stands at the site of his murder, a center for the Histradut youth organization. Kibbutz Givat Brenner, near Rehovot, is named for him, as is Israel’s Brenner Prize, a prestigious literary award. In Tel Aviv, Brenner Street runs east from Allenby between Sheinkin and Balfour. 1. The life of Judah ben Shmuel haLevi, as it has come down to us, is long on legend and short on established fact. He was born in Spain during what is known as the Golden Age, in Toledo probably, but possibly Tudela, in either 1075 or 1086. Reliable childhood details are slim, but it is known that he was Jewishly educated and learned Arabic literature and the Greek sciences and philosophy. 2. He lived at various times in Toledo (which was Christian) and in cities of southern (Moorish) Spain. He was a busy physician, occupying an honored position as a community leader and intellectual. Of his family life little is known, but in his poetry he refers to a daughter and her son, named Judah. 3. 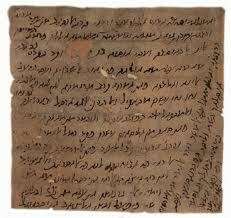 He wrote prose in Arabic and poetry in Hebrew and is widely considered the greatest of all medieval Hebrew poets. 4. Early on, he wrote poems of joy in friendship, love songs, drinking songs – poems full of delight in life. He wrote odes, epigrams, riddles and also religious verse. The themes and structure were common to many Hebrew poets of the time, employing complicated Arabic meters and Biblical diction. But Halevi brought special beauty to the sound of the poetry, a sparkling wit and a fine wedding of language, form and substance. Cups without wine are low things/Like a pot thrown to the ground/But brimming with the juice, they shine/Like body and soul. 6. At some point he experienced a religious awakening – possibly as a result of events in the world around him: it was the time of the first crusades. Whatever the reasons, he came to feel close to God and compelled to praise God. And for the Jewish people and their destiny, he felt a special bond. He believed that destiny lay in return to Eretz Yisrael. Zion, wilt thou not ask if peace’s wing/Shadows the captives that ensue thy peace,/Left lonely from thine ancient shepherding?/Lo! west and east and north and south – worldwide/All those from far and near, without surcease/Salute thee: Peace/ And Peace from every side. 8. He produced a treatise known as Kuzari, structured as a dialogue between a Jewish sage and the king of the Khazars, a heathen tribe which converted to Judaism. In it, he argues for the superiority of religious revelation over philosophical systems as the guide to life. He argues that the Land of Israel and the people Israel are intrinsically holy, that the people Israel have a special spiritual position, and as a nation they are, to other nations, as the heart is to the rest of the body. 9. Believing that religious fulfillment was possible only in the presence of Israel’s God – and most possible in the Land of Israel – he left Spain and sailed to Egypt in September 1140. He remained in Egypt, visiting with friends and dignitaries, until May 1141, when he boarded ship for Palestine. He died that summer. The circumstances of his death are foggy. Legend has it that, upon arriving in Jerusalem, he was run over by an Arab horseman. However, it may, in fact, be legend that he reached Palestine at all. Though there are accounts of a visit in Tyre, recent research suggests he died in Egypt. Yehuda HaLevi Street runs from Neve Tzedek northeast to central Tel Aviv, where it joins Ibn Gevirol. Streets of Israel will resume next week.